Enjoy online shopping convenience and security, plus year-round perks, only with your RCBC Bankard web shopper! 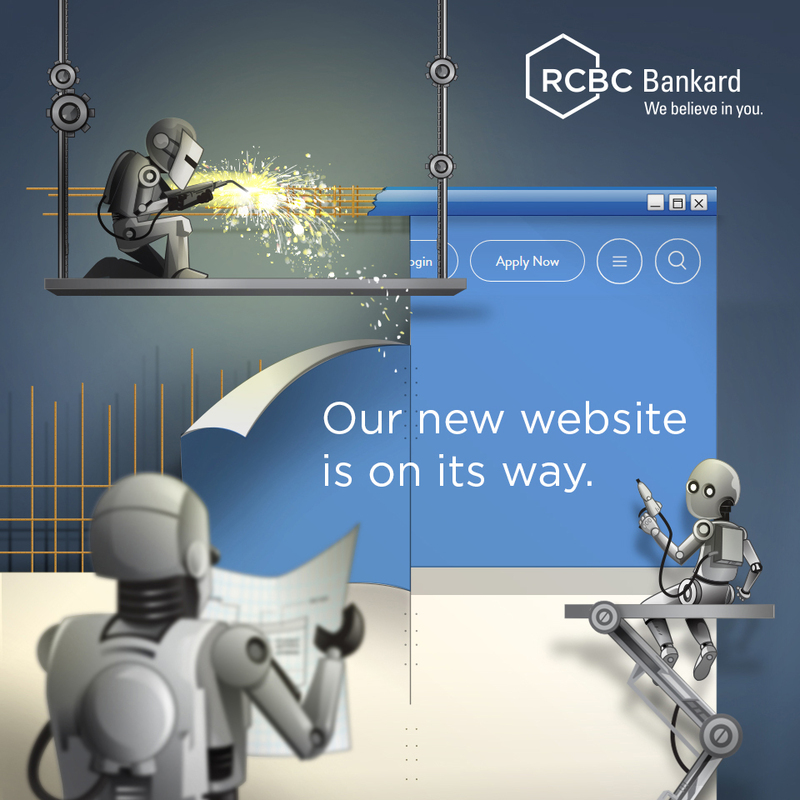 RCBC Bankard adds an extra layer of security when you shop online with the new RCBC Bankard web shopper. This is given to you for FREE with no annual membership fee with your existing RCBC Bankard MasterCard or Visa credit card. The RCBC Bankard web shopper cannot be used in place of your regular card when you need to present your card as proof of membership. Similarly, it is not valid for dual-mode transactions such as hotel reservations that are initially done via the Internet or phone but will later require actual face-to-face transaction for the same account. Your RCBC Bankard web shopper is a reference device specifically designed for internet-based shopping and other non-face-to-face transactions like mail order, telephone order, mobile commerce and recurring payments. Enjoy a safe online shopping experience without exposing your real credit card number. The RCBC Bankard web shopper reference device contains a different credit card number, Expiry Date and Card Validation Code2 (CVC2) for MasterCard or Card Validation Value (CVV2) for Visa that is linked directly to your regular credit card account number. When purchasing online, you only have to give your RCBC Bankard web shopper credit card details. Thus, keeping, your regular credit card number and details private and protected. Your RCBC Bankard web shopper is provided for FREE (upon request) with no annual membership fee provided you have an existing RCBC Bankard MasterCard or Visa cards. You may also request an RCBC Bankard web shopper for your supplementary cardholders. The credit limit of your RCBC Bankard web shopper is a sublimit of your regular RCBC Bankard credit card and is preset at Php30,000. Your RCBC Bankard web shopper is automatically enrolled in RCBC Bankard Spend Monitor for Online, Mail Order, and Telephone Order Transaction’ Alerts. Enjoy peace of mind with real-time, free SMS advisory that keeps you informed of your online transactions. Your Internet-based purchases are reflected in the same billing statement as that of your regular credit card but are posted under RCBC Bankard web shopper number for easy tracking. All RCBC Bankard web shopper transactions will be billed and paid in Philippine Peso. All online transactions made through your RCBC Bankard web shopper will earn Rewards Points. The Rewards Program of the principal account to which the RCBC Bankard web shopper is linked will apply. Rewards points accumulation and redemption rules will be the same as those of your Supplementary cards. The RCBC Bankard web shopper is a reference device intended for use by cardholders in doing non-face-to-face (Internet, Mail Order, Telephone Order, etc.) transactions only and shall not be valid when handed directly to a merchant in a normal face-to-face environment. Similarly, this reference device is not valid for dual-mode transactions (i.e. Rent-a-Car or Hotel Bookings) whereby an initial non-face-to-face transaction is made but followed by a face-to-face transaction with a merchant for the same account or service. The RCBC Bankard web shopper is provided as a companion card of any peso RCBC Bankard regular card and is linked to the regular RCBC Bankard credit card’s credit limit. A pre-assigned sub-limit linked to the regular RCBC Bankard credit limit will be issued. Whenever a principal cardholder or his/her supplementary uses his/her RCBC Bankard web shopper, the regular credit limit will be reduced. The cardholder hereby holds RCBC Bankard free and harmless from any liability in the event the internet transaction is disapproved because of the RCBC Bankard web shopper sub-limit. The RCBC Bankard web shopper is automatically cancelled when the principal cardholder cancels his/her regular RCBC Bankard. The principal cardholder agrees to receive an SMS advice whenever his/her or his/her supplementary RCBC Bankard web shopper/s is used. Terms and Condition of the Spend Monitor Program shall continue to apply. The cardholder agrees to be bound by these Terms and Conditions upon receipt and/or use of the RCBC Bankard web shopper. The card number, card validation code 2 number / card verification value 2 and expiry date stated in the reference device are strictly confidential and the cardholder agrees not to disclose these information or cause their disclosure to any person. Any and all transactions using the RCBC Bankard web shopper shall be conclusively presumed to be made or authorized by the cardholder. RCBC Bankard is not responsible or liable to the cardholder if, for any reason/s, the RCBC Bankard web shopper is not honored or accepted by any internet establishment. For transactions using the RCBC Bankard web shopper, the cardholder will not require RCBC Bankard and the accredited internet merchants of MasterCard and Visa to issue a charge slip for any and all type of internet transactions. Hence, the cardholder acknowledges that the presentation of the charge slips to prove the transactions in the Statement of Account is not required. The cardholder’s liability to RCBC Bankard for the use of the web shopper issued to the cardholder is unconditional. The existence of any claim or dispute between the cardholder and any accredited establishment shall not affect the cardholder’s obligation to pay the purchases together with all interest, penalties, fees and other charges incurred thereon, if, any, arising from the use the RCBC Bankard web shopper. These Terms and Conditions are suppletory to and do not amend the Terms and Conditions Governing the Use of the RCBC Bankard Credit Cards, which shall continue to be binding on the cardholder. In the event of inconsistency between these Terms and Conditions and any brochure, marketing or promotional materials relating to the RCBC Bankard web shopper described herein, these Terms and Conditions and the Terms and Conditions Governing the Use of the RCBC Bankard Credit Cards shall prevail. Call 888-1-888 and have a Customer Service representative assist you. Request one online. Fill-out the form here. *You need to have an active, principal RCBC Bankard MasterCard and/or Visa credit card to apply for an RCBC Bankard web shopper.